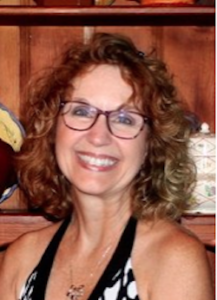 Leslie holds a Master’s Degree in Educational Counseling from Millersville University in PA, and is credentialed as a Sexual Risk Avoidance (SRA) specialist through ASCEND (a professional membership organization dedicated to representing and equipping those in the SRA field). She serves as Director of Sexual Integrity Programs for Morning Star Pregnancy Services in Harrisburg, PA. This includes facilitating their SRA School program, #Unfiltered-Truth, and their Fertility Awareness workshops. #Unfiltered-Truth is based on the REAL Essentials curriculum that is designed to help high school students learn foundational skills in making healthy choices in relationships and life. It uses an educational approach based on the public health model of primary prevention to empower youth to avoid all the risks of sexual activity. From her first year at the pregnancy center, Leslie has made it her goal to find ways to impact our clients to make wise choices when it comes to their sexual behavior. She has presented a number of in-services and trainings on presenting the sexual integrity message to their male and female clients. Leslie has been offering Healthy Relationship/Sexual Health Talks in Middle Schools and High Schools in the Greater Harrisburg area since 2007. After spending 12 years in client services, she recognized that most of her clients were uninformed about their cycle of fertility. Because they didn’t understand this part of their body, they didn’t value it and therefore made sexual choices that had the potential to not only damage their fertility, but also posed other physical and emotional health risks. She decided to offer a fertility awareness workshop to educate and empower pregnancy center clients and teenagers at a local high school. Leslie has been married to her husband, John, for 42 years. They live on a farm in Hershey, PA and together they have 4 adult boys.